Singer Grace Jones wears a creation as part of the Tommy Now ready to wear Fall-Winter 2019-2020 collection, that was presented in Paris, Saturday, March 2, 2019. A one-off itinerant extravaganza courtesy of American designer Tommy Hilfiger's "buy-now" collaboration with actress-singer Zendaya gave Paris Fashion Week a case of Saturday night fever. On Sunday, Valentino's Pierpaolo Piccioli yet again received a standing ovation and Thom Browne continued to blur gender lines. Here are highlights from fall-winter ready-to-wear shows. For Hilfiger's disco-inspired show, the Champs-Elysees Theatre flashed with Pac-Man and Space Invaders arcade games while excited guests, including British race car driver Lewis Hamilton and model Gigi Hadid, could snack on popcorn and candy jawbreakers. 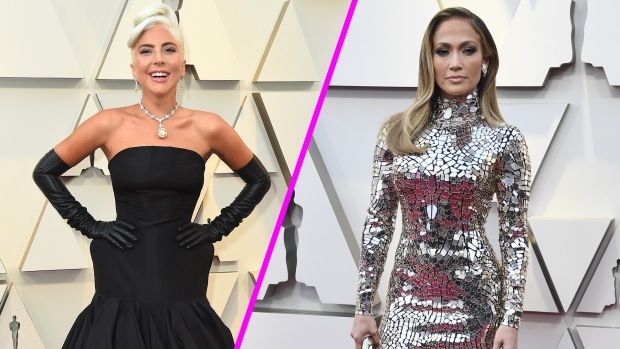 From Lady Gaga donning 80 carats of diamonds to Jennifer Lopez rockin' a mirror-mosaic ensemble, Hollywood’s biggest stars dazzled on the 2019 Oscars red carpet. Check out the best looks! The collection itself, sadly, felt more high-street than high-fashion and rather paled in comparison to the ambitious spectacle. Breton stripes led down to flared denim or leather pants, torso-hugging jumpsuits and a shimmering pleated silken gown with a cape the model waved dramatically. This fashion show was all about the show. 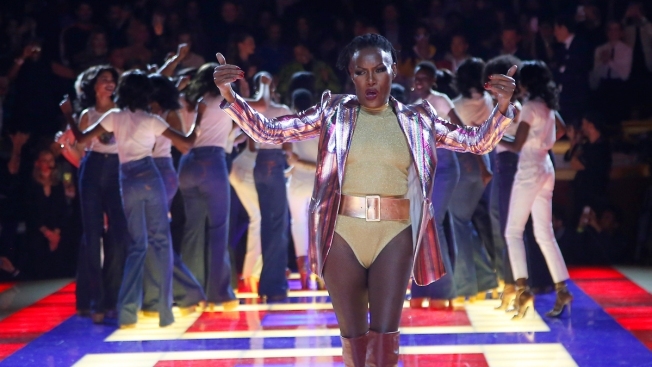 Whoops from the audience erupted as disco icon Grace Jones, wearing a shimmering peaked-shoulder tuxedo, thigh-high boots and leotard — danced out. The show's finale track, "We Are Family", had even fashion insiders with perpetually pursed lips singing along. Revelers danced at a wild after-party into the wee hours. Kim Kardashian stepped out at the 2019 Hollywood Beauty Awards over the weekend in a stunning vintage Mugler gown. American actress and singer Zendaya, 22, became the latest in a long line of celebrities to try their hand at fashion design in Paris. The "Spider-Man: Homecoming" star spoke to The Associated Press about receiving a phone call from Hilfiger to discuss a collaboration. "I got a call from Tommy Hilfiger himself, which was pretty crazy. I was not expecting that," she said. Hilfiger gave her, she said, full control of the designs, which drew inspiration from "iconic women" of the late-1970s and early-1980s. Showing deep industry knowledge, Zendaya also referenced the famous "Battle of Versailles" fashion show held in 1973 at France's Palace of Versailles. It pitted American designers such as Oscar de la Renta and Stephen Burrows against French designers Yves Saint Laurent, Pierre Cardin and Hubert de Givenchy. One of the models who walked in the 1973 Versailles show, Pat Cleveland, modeled for Zendaya. Cleveland often is described as the world's first black supermodel. Another Pierpaolo Piccioli show, another standing ovation. 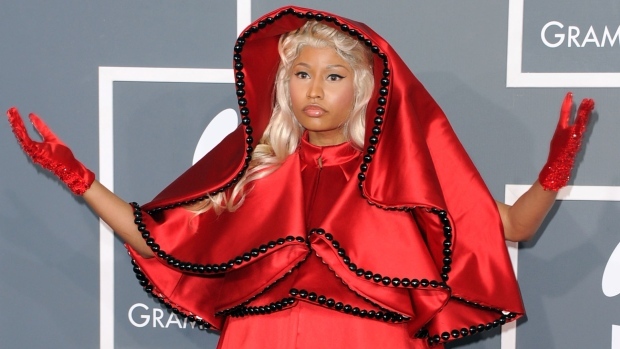 The Valentino designer can do no wrong. At least, that seemed to be the view of the fashion editors who whooped and cheered as models stood under a giant neon text about love and loss dressed in colorful 1970s-style silken gowns for the finale Sunday. The golden dome of the French capital's Invalides monument twinkled in the background. A book of verse given to every guest prompted gushing comments about Piccioli's artistic sensitivity. The styles, however, weren't fully deserving of such effusive praise and poetry. There were, without a doubt, many beautiful styles: especially in the neck detailing that defined the fall-winter aesthetic. Tulle neck fringing fell like a wilting flower, fusing the 20th century era with a vibe of the Renaissance. Minimalist touches, such as a loose, black silk gown with the shoulders lobbed off, also hit a high note. But chunky butterfly embroideries and overly busy art prints jarred with the delicate designs in several looks. Arya Stark from "Game of Thrones" famously utters the words: "The girl has no name." But the actress who plays her, 21-year-old Maisie Williams, is quickly becoming a name. She made a surprise appearance in a check suit and a funky fringe on the front row of Thom Browne's collection inside the Musee des Beaux-Arts. Layered, sartorial styles continued the American designer's penchant for gender-bending. Bespectacled female models in gray suits with cuffed pants and cream, square coats held stern expressions as they walked past holding black briefcases. Women can rule in a man's world, Browne suggested. Stripes appeared at the cuff, owing to the shirt, suit and coat ends producing a chic, intentionally tiered effect. Then, the playful fashion explorations began. Business pants became preppy shorts that could have come straight out of a private school uniform. The manly gray suits were transformed into a woman's bourgeois gray wool coat with thick bands of fur at the hem. One of the most boundary-blurring ensembles was a three-piece checked suit that opened to reveal a pleated schoolgirl skirt with fine white stripes. A monocle-like accessory hung down over the model's face. Deborah Gouffran contributed to this report.